I think that a common thing in the blogging world is writing about what we did in the year when it comes to a close. It's a way to close to year and to reflect on everything that has been accomplished within what seems like such a short time. However, I'll admit that they're maybe not the most interesting to read after you've read a few. 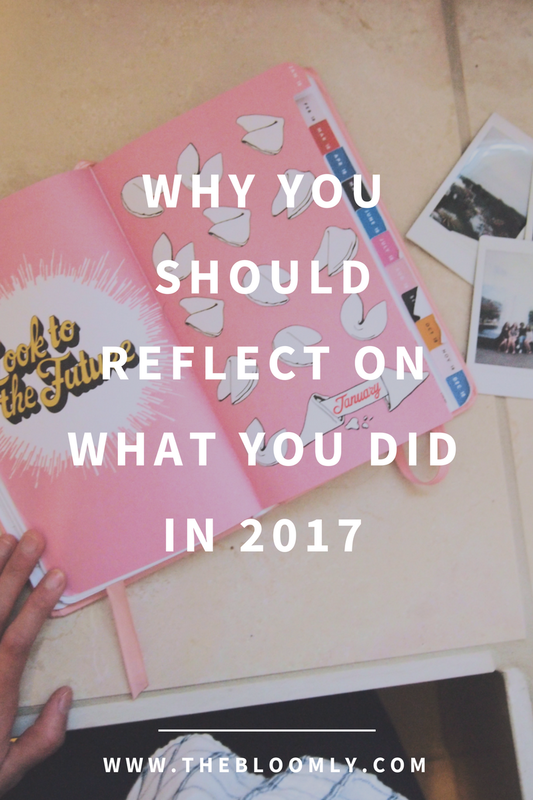 They're interesting for readers to see how people that they care about have changed, but I think that for the most part, the person that would benefit most from a "what I did in 2017" post would be the person writing it. Whether you're a blogger or not, I think that you absolutely should write your own "What I did in 2017" journal of some kind. It doesn't have to be for an audience, but it can just be for you. Here's why I think that you should. It helps you to gain pride in your accomplishments. There are so many things that I've looked at like mountains, things that I've looked at and wondered if I would ever be able to pull them off. Looking back and reflecting on them brings pride regarding those moments. Remember that huge research paper that you thought you would never be able to pull together? Yeah, you did it. You accomplished things that you originally found daunting, and you deserve to celebrate that. When life moves so quickly, we sometimes forget about all of those little successes, but the end of the year is a perfect time to commemorate them. It provides an understanding for your growth. Sometimes when you're stuck focusing on the details, the downs seem like the end of the world. However, when you look back on the moments, you can still see growth despite the setbacks. Reflecting on what you accomplished throughout the year can help you to see the big picture and to better understand how you have changed over time. Growth is not linear, but when you step back and see everything that you have done, you can see that you are still making fantastic progress. In addition, if you're not seeing a positive trend and growth in the right direction, that can be a fantastic wake up call. Seeing the big picture can help you figure out if you're moving in the way that you want to and give you the chance to change that if you're not happy with it. Am I going in the direction that I want to? How have I been successful in accomplishing my goals? How did I get past some of those roadblocks? It can prompt memories to cherish. When time passes, there are things that you accomplished that seem like centuries ago. Looking back on the year, it's crazy to think about the trip that I took with some friends just in September. It was only a few months ago, but it feels like forever ago. Reflecting on that moment prompted lots of memories from the trip that I can cherish. Honestly, I'm a little in awe that all of those things happen, but I'm glad that I have those memories to reflect on. It can make you feel incredibly productive. When you're sitting down watching Netflix and/or giving yourself some me-time with a face mask, sometimes you feel like you're not being productive. However, when you look back on what you've done, you'd be surprised to see how much you had gotten done even with all of that time to relax. Listing and reflecting on your accomplishments will show you that you still have time for yourself and you can still get a lot done in just a short amount of time. It's crazy to see how much you had done in a year! 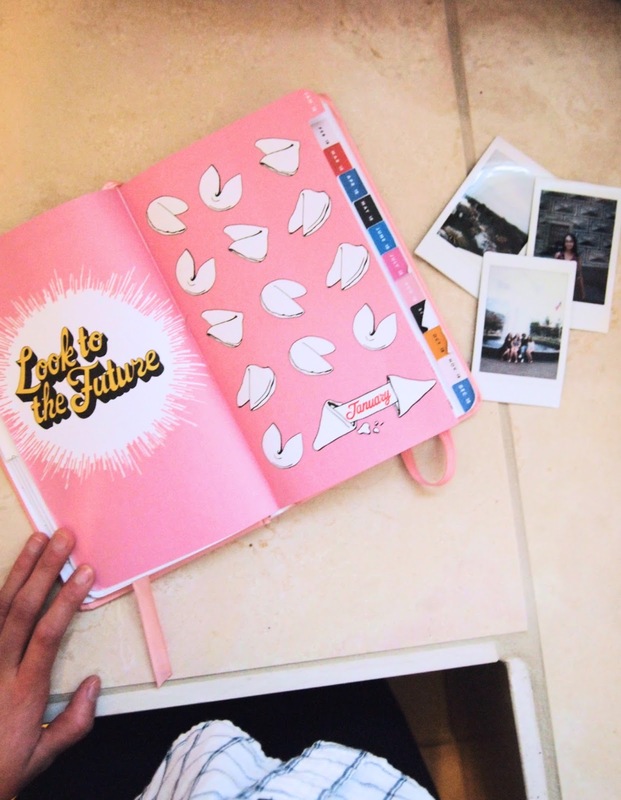 I love the planner you featured in the image. Is it a Ban.do planner? Yes it is! It's the 2018 agenda!